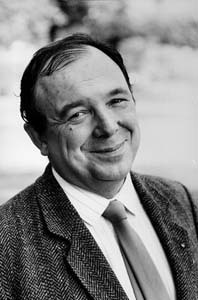 Jean-Pierre Changeux is a French neuroscientist known for his research in several fields of biology, from the structure and function of proteins (with a focus on the allosteric proteins), to the early development of the nervous system up to cognitive functions. Although being famous in biological sciences for the MWC model, the identification and purification of the nicotinic acetylcholine receptor and the theory of epigenesis by synapse selection are also notable scientific achievements. Changeux is known by the non-scientific public for his ideas regarding the connection between mind and physical brain. As put forth in his book, Conversations on Mind, Matter and Mathematics, Changeux strongly supports the view that the nervous system is active rather than reactive and that interaction with the environment, rather than being instructive, results in the selection of preexisting internal representations.